Emotionally intelligent management embraces and draws from numerous other branches of behavioural, emotional and communications strategies to develop more productive and successful managers and leaders. Knowing and raising your Emotional Intelligence is essential to your managerial and leadership success. This program is designed for all managers, leaders and professionals who need to have in-depth knowledge of human behaviours, those who want be better leaders and managers. Managers and leaders who wish to understand their emotions and how it affects those around them and their productivity in the workplace. ABIODUN ODEYEMI - M.Sc. (Managerial Psychology), MCIPS, AMNIM, QMS Auditor. An experienced Management Practitioner with over 25 years of experience spanning the manufacturing, engineering and service sectors of the economy. Mr Odeyemi is a specialist in Managerial Psychology (Leadership, General Management, Communication and Human Relations) Business/Process Development, Employee's Motivation, Productivity Improvement, Performance Management, Project Management (Monitoring and Evaluation), Supply Chain Management, QMS Certification, and Attitudinal Change. Mr Odeyemi was as the Asst. General Manager, Supply Chain, Pivot Engineering Nig. Ltd before venturing into consultancy. He will join others to share their experiences on this program. Ajelero, S. Abayomi - MA, History, Advanced Dip in HR Mgt., Masters Industrial & Labour Relations Mgt. Mr. Abayomi was formerly the Assistant Controller HR/ Head of Training Urban Development Bank Nig. Plc. He has over 15 years work experience spanning the manufacturing, Service and the Financial sectors of the Nigeria economy. 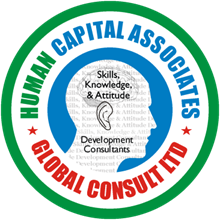 Mr. Abayomi is a HR consultant / trainer to Nig. Institute of Manpower Development & Industrial Relations. He will bring his experience to bear on this program. You've successfully shared Workshop on Developing Emotionally Intelligent Management and Leadership Skills. An error occurred while sharing Workshop on Developing Emotionally Intelligent Management and Leadership Skills. Please try again.